The human spine is an amazingly versatile and complex structure that provides support, protects the internal organs and nervous system, but at the same time allows incredible flexibility and movement. Many different pieces have to work together to maintain a healthy spine. The spinal cord and nerves of the back are the communication lines between the brain and the rest of the body. The bones of the spine—or the vertebrae—protect those nerves. The vertebrae are separated by fibrous discs. The ligaments of the spine hold the vertebrae together. And the muscles attach to the vertebrae and provide stability and allow us to move. When all of these pieces are working together in harmony, we’re not even aware of them. When one piece fails to work properly, all of the other parts are affected, as well. 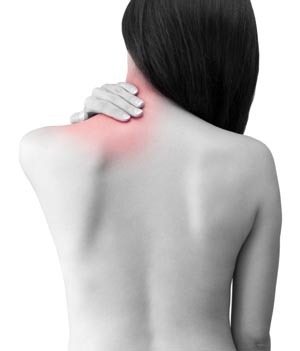 The role of chiropractic is to make sure that all of the pieces work together the way they’re supposed to.Here are some articles that discuss the benefits of chiropractic for neck pain.